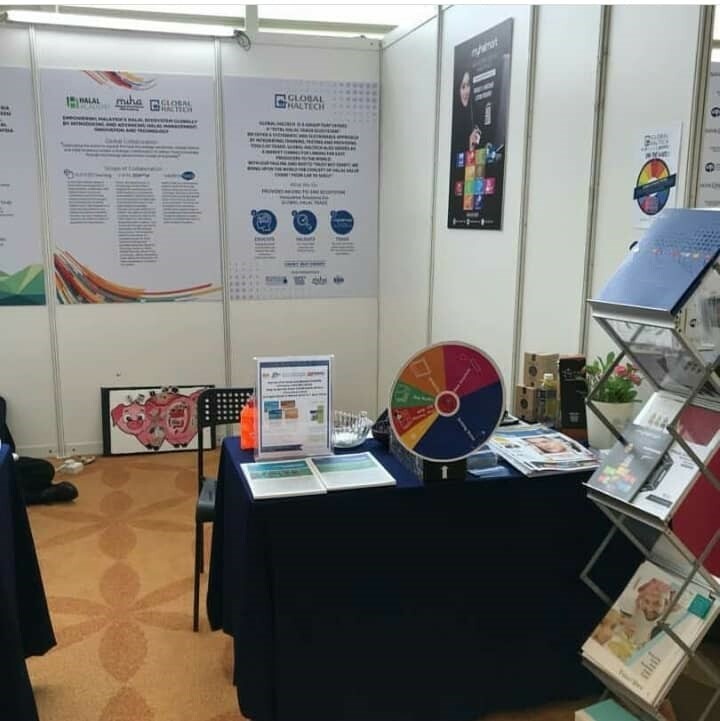 On 26th to 30 March 2018, 7Foodpillars together with Global Haltech and Halal Academy participate as an exhibitor on HCBC that was held at Le Meridien, Putrajaya. Participation of 7Foodpilars as exhibitor is an effort to promote PorcineTrace Rapid Test kit to HCBC participants from worldwide. HCBC is a convention that gathers together leaders in the global halal industry, religious authorities, and Halal professionals fromall over the world to provide insights on the halal industry. During the event, we managed to communicate with all the participants who comes from different countries and introduce our products. It was a platform for us to meet some our customers and exchange our experiences too. We are glad to learn more and more people are excited to learn the availability of our products as the most convenient tool in diagnostic of porcine contents.